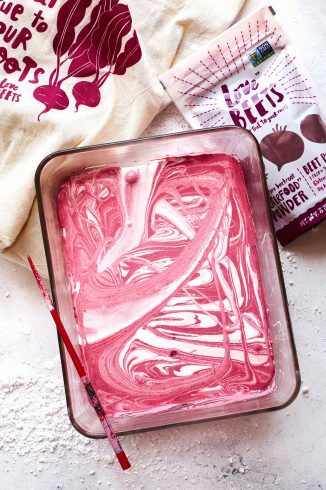 Labor Day marks the end of summer and what better way to celebrate than with some of Love Beets delicious beet recipes. 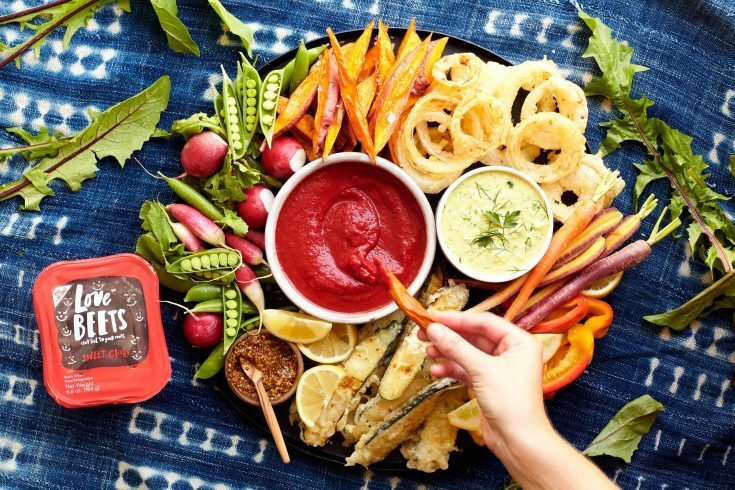 Add a twist to your celebration and try out some of our favorites, perfect for any barbeque or get together! Our first recipe recommendation is the Blackberry Beet & Citrus Sangria. Mix up this refreshing beverage with our delicious Organic Beet Juice, your favorite white or rosé wine, orange juice, blackberries, and more. This is an easy to make drink that is guaranteed to impress any guest. Be prepared to make more because it won’t last long! Next on the menu is the Crispy Veggie Crudité Platter W/ Sweet Chili Beet Ketchup & Golden Beet Tartar. 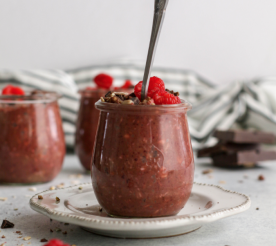 This is a perfect appetizer for guests to pick at while sipping on their sangria. This recipe has two dipping sauces to choose from. One of the sauces is made with our Sweet Chili Beets, and the other is made with our new Honey and Vinegar Golden Beets. The best part? 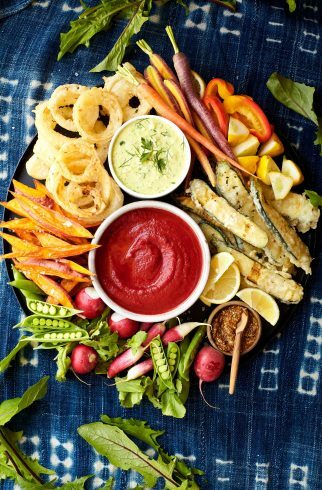 This platter is guilt-free! 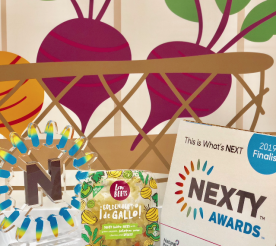 Filled with an assortment of veggies and containing some great beet health benefits, you can’t go wrong. Our next dish is a refreshing take on the classic BLT. 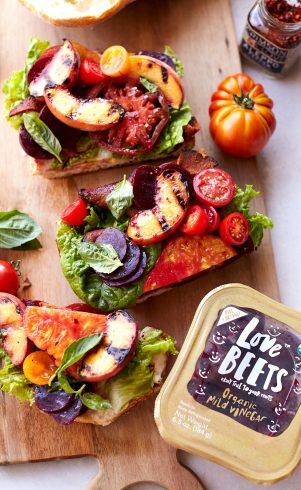 Our Vegan Beet & Grilled Peach Open Faced BLT is a great way to use the grill in a healthy and creative way. 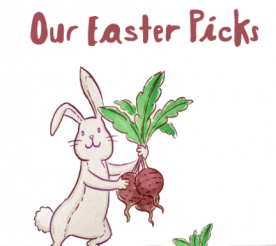 This recipe includes our Organic Mild Vinegar Beets and is very easy to make. After only 30 minutes of prepping and cooking, you are ready to eat! 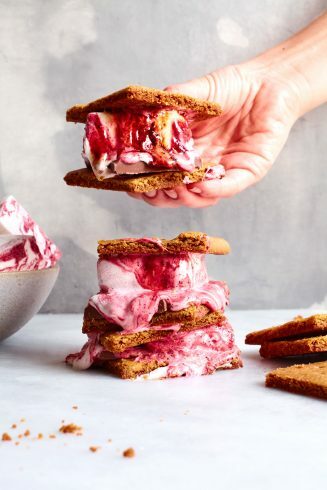 End the day around the fire and indulge in our Vanilla-Beet S’mores w/ Homemade Graham Crackers. 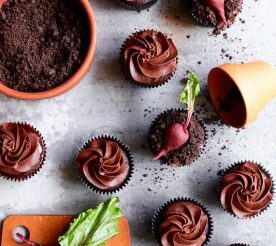 This recipe includes our Love Beets Powder as well as the option to use our Organic Beet Juice. 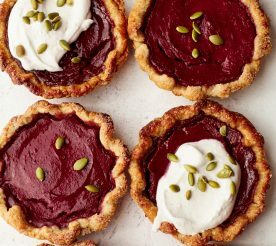 A classic summer dessert with a beet twist! 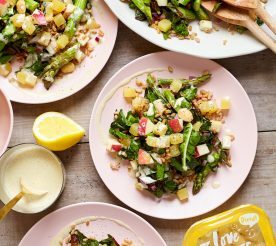 You can check out even more beet recipes here and keep an eye out for some new recipes that are perfect for the start of fall. 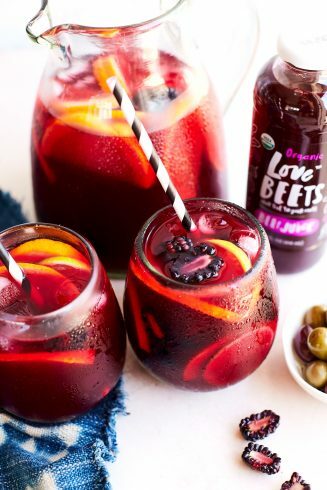 We would love to hear about your Labor Day celebrations with Love Beets so feel free to share them with us or tag us on Instagram with @lovebeets or #LoveBeets.